A new study from the Stanford Cancer Institute finds that young women who are treated with chemotherapy for breast cancer but have residual tumor in either the breast or lymph nodes have higher chances of recurrence compared to those with no evidence of any residual invasive tumor (pathologic complete response). 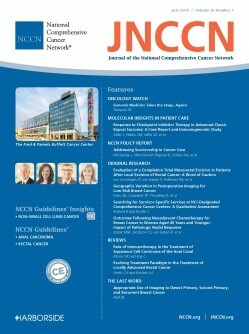 The findings were published in the July issue of JNCCN – Journal of the National Comprehensive Cancer Network. The research was led by Margaret Kozak, MD, Resident, and Kathleen C. Horst, MD, Associate Professor of Radiation Oncology, both at the Stanford University School of Medicine, and took a close look at the outcomes for women who were diagnosed with breast cancer under the age of 40. “Young women with breast cancer tend to present with more advanced disease and with more aggressive breast cancer subtypes, such as triple negative, so it is important not to group them in with older women who are more likely to be diagnosed with slower-growing breast tumors,” explained Dr. Kozak. “This is a particularly high-risk group that is not studied on its own in prospective clinical trials, so few details exist on the optimal approach to treatment for this patient population." The retrospective analysis was conducted on 155 women who were treated at Stanford between 1991 and 2015. Their median age was 36 years, with a median follow-up time of 52 months. Patients were excluded from the study if their records were not available, if they had metastatic disease at the time of diagnosis, or if they had received chemotherapy for other cancer diagnoses. The researchers found that patients who received neoadjuvant chemotherapy and were left with residual disease in either the breast or lymph nodes had a significantly higher incidence of local, regional, or distant failure, compared to patients who achieved pathologic complete response (see: Figure 1, Figure 2). The researchers determined that mastectomy, adjuvant radiation therapy, and achievement of pathologic complete response were all good predictors for overall survival. To read the entire study, visit JNCCN.org. Complimentary access to “Outcomes Following Neoadjuvant Chemotherapy for Breast Cancer in Women Aged 40 Years and Younger: Impact of Pathologic Nodal Response” is available until September 10, 2018. New study in JNCCN supports continued aggressive treatment for breast cancer in women under 40. Appl Rad Oncol.